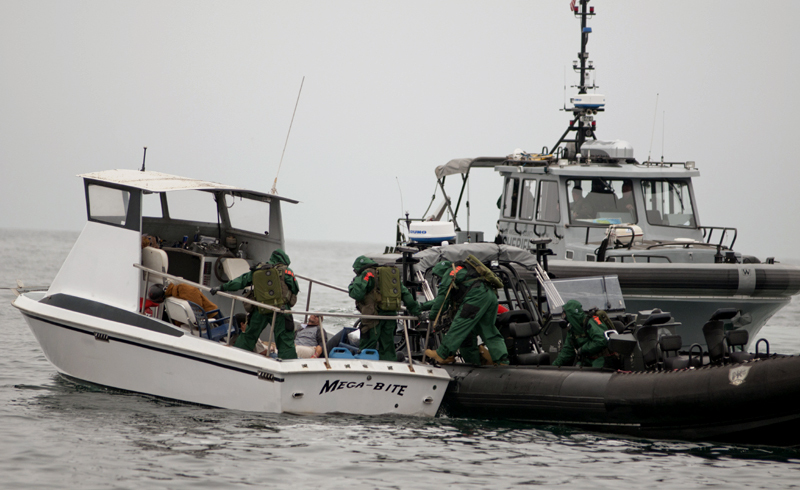 [LASD] – The Oxnard Harbor District, along with representatives from over 30 local, state, federal, and private sector emergency response and management organizations will participate in the Coastal Trident 2012 exercise Tuesday through Thursday, in an effort to address the increasing threats of narcotics trafficking and illegal alien smuggling to regional maritime security. This year’s Coastal Trident exercise is the latest in an annual, multiple phased training and exercise program established by the Port of Hueneme in partnership with the Naval Postgraduate School’s Center for Asymmetric Warfare, headquartered at Point Mugu, improving the capabilities of regional emergency response organizations to respond to potential emergencies at the Port of Hueneme, protecting the economic viability of the Port and ensuring the safety and security of the surrounding communities. 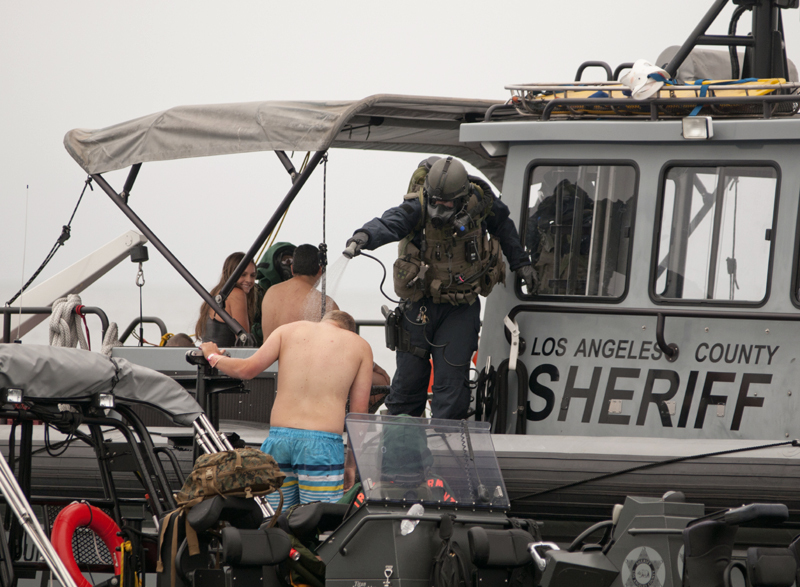 While the exercise scenario is not based on any known threats to the Port or the region, it has been designed to address the increasing frequency of seaborne criminal activity including the smuggling of both narcotics and illegal aliens along the southern California coastline. Coastal Trident 2012 will provide valuable opportunities for participants to validate tactics, techniques, and procedures to counter these threats in the port and maritime environments, as well as evaluate the role of developing military and law enforcement technologies to support intelligence-driven operations and apprehension of identified criminals and terrorists. 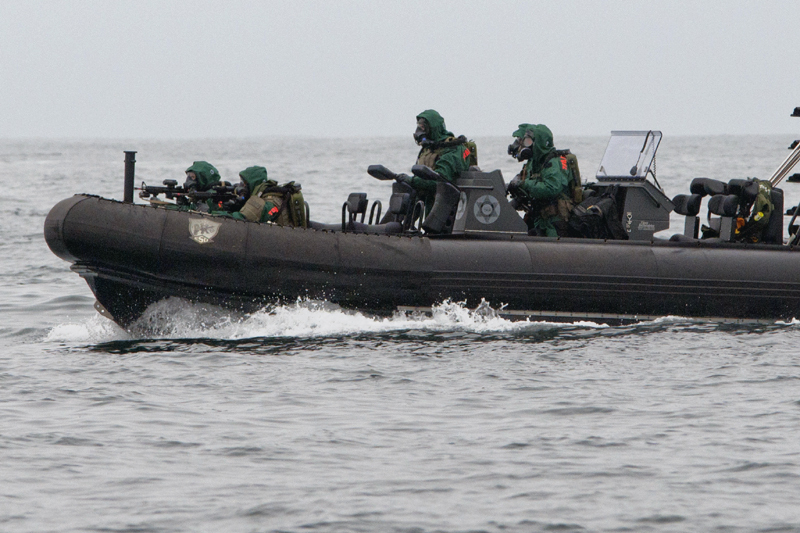 The exercise will be conducted from Tuesday, June 12, through Thursday, June 14, and consist of a scenario that includes vehicle checkpoint operations, littoral interception and interdiction, maritime search and rescue, hazardous materials response, humanitarian assistance, and the activation of the Oxnard Harbor District’s Emergency Operations Center. Participants in the exercise will represent over thirty regional response agencies, including the U.S. Coast Guard, Customs and Border Protection, Federal Bureau of Investigation, Naval Base Ventura County, Port Hueneme and Oxnard Police Departments, Ventura and Los Angeles County Sheriff’s Departments, and a number of other public safety and private sector stakeholders committed to the safety and security of the Port of Hueneme and the local maritime domain. FEMA director Alexander Mrazik Jr. said,” The Department of Homeland Security and the Federal Emergency Management Agency’s grant program directorate are proud of the partnership with the Port of Hueneme Area and the important security projects undertaken with Port Security Grant Program (PSGP) funds, which includes over $3.2 million for construction of the security gate complex, a port-wide fiber optic network, and the Joint Operations and Security Center (JOSC). “The Navy recognizes the importance of building strong partnerships with the civilian community,” said Capt. Larry Vasquez, commanding officer of Naval Base Ventura County, which includes Port Hueneme. The Oxnard Harbor District and NBVC have a shared-use agreement in place for wharf space at the harbor. “We are neighbors, and working together we can improve our community, its economic viability and its security,” Vasquez added. in the workplace will be sanctioned? alien Mexicans on MediCal, whose births were paid for by taxpayers. own kids are still paying off their educational mortgages on their young lives? immigrants always get first priority—not pandering to foreign nationals. is Liberal friends in the press are concealing the truth? of billions of taxpayer dollars have been appropriated to seal them in prisons. parties and no penetration by the TEA PARTY leadership, nothing will change. programs, which American workers have accepted for years. favor) that will never produce anything different for the common man or women. when you vote this November. EVER. DISTRIBUTE FREELY TO EVERY CITIZEN VOTER.